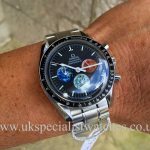 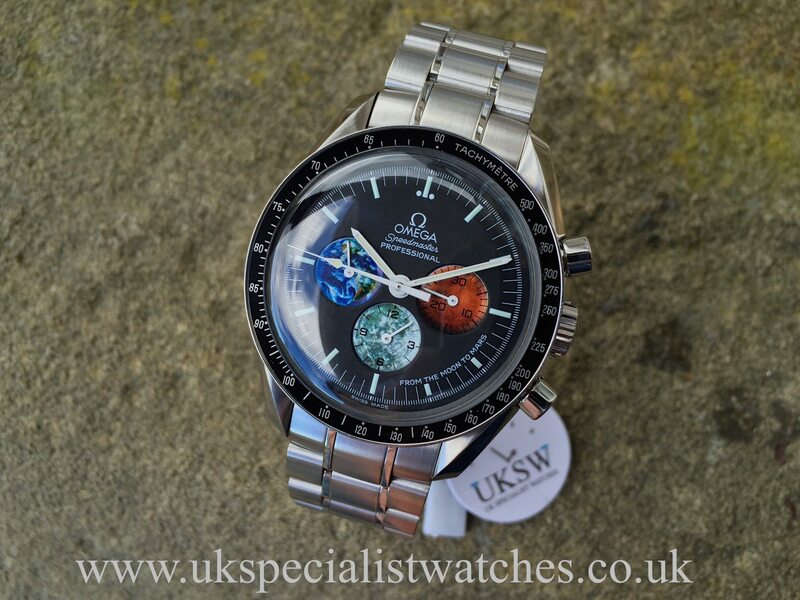 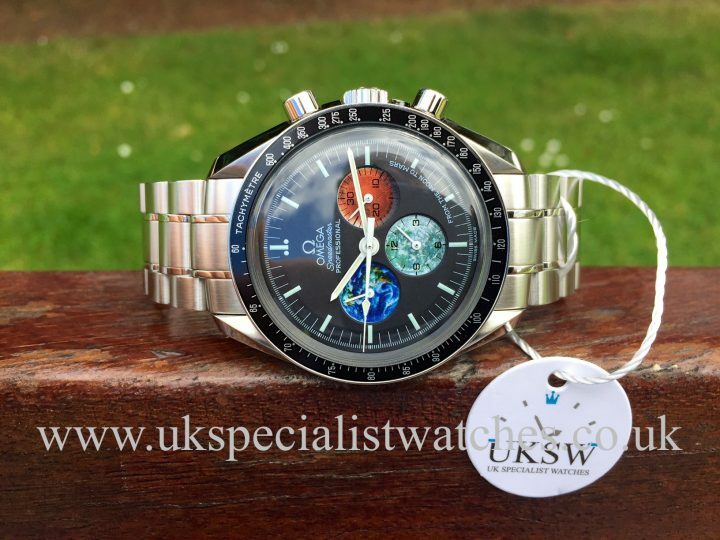 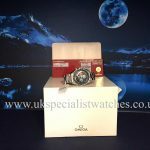 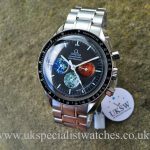 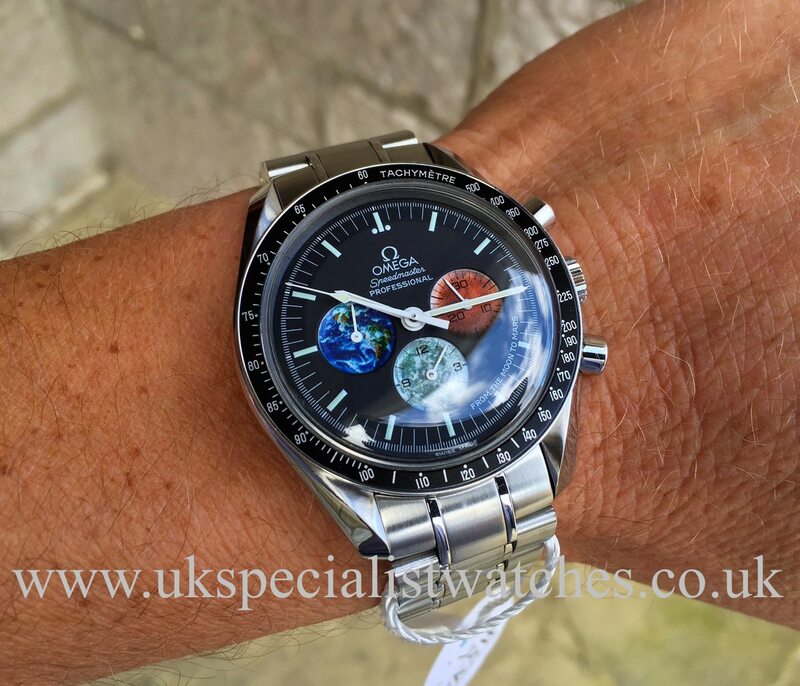 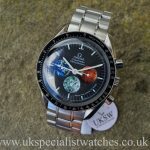 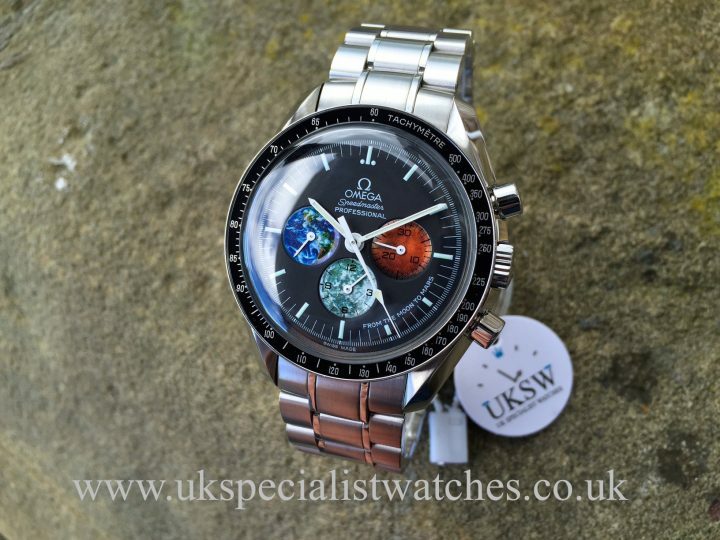 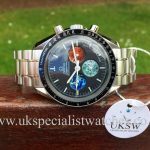 This very special Omega Speedmaster ‘From the Moon the Mars’ Limited Edition has most of the features from the original Omega moon watch with the larger solid 42mm stainless steel case, charcoal matte dial with luminous hands, 3 coloured planet chronograph sub dials also has ‘From the Moon to Mars’ printed on the dial between 3 and 6 o’clock as well as it being engraved on the case back along with its own individual number. 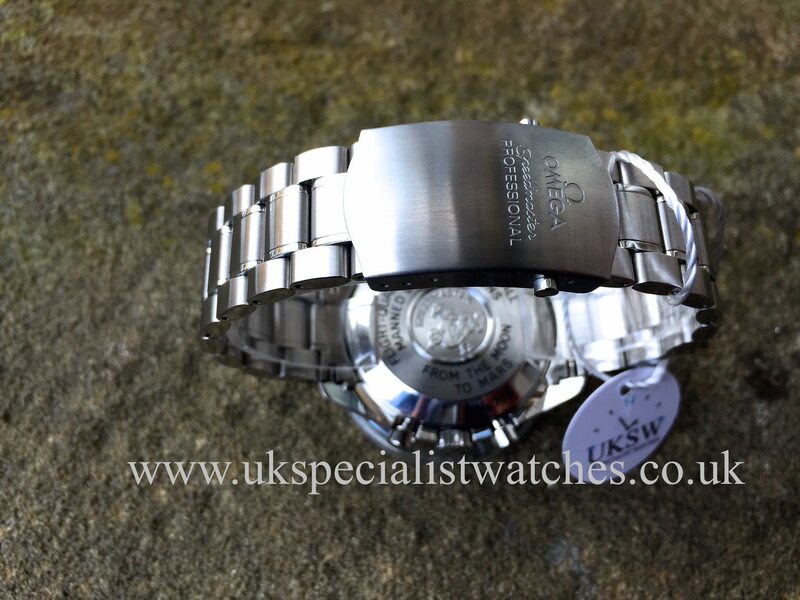 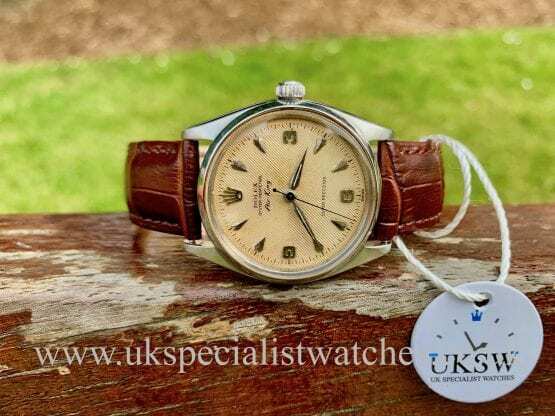 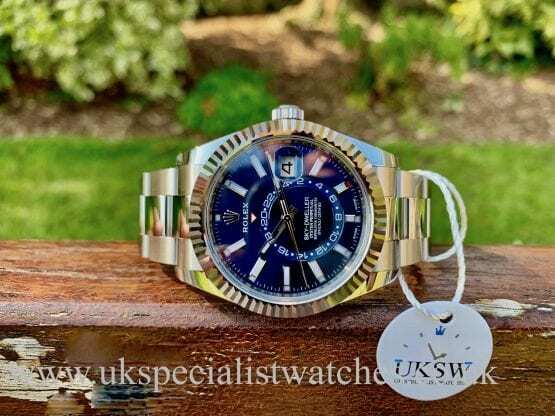 Powered by a hand-wound calibre 1861 known for its precision and reliability. 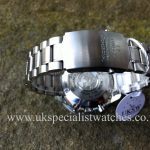 UK Supplied new April 2006. 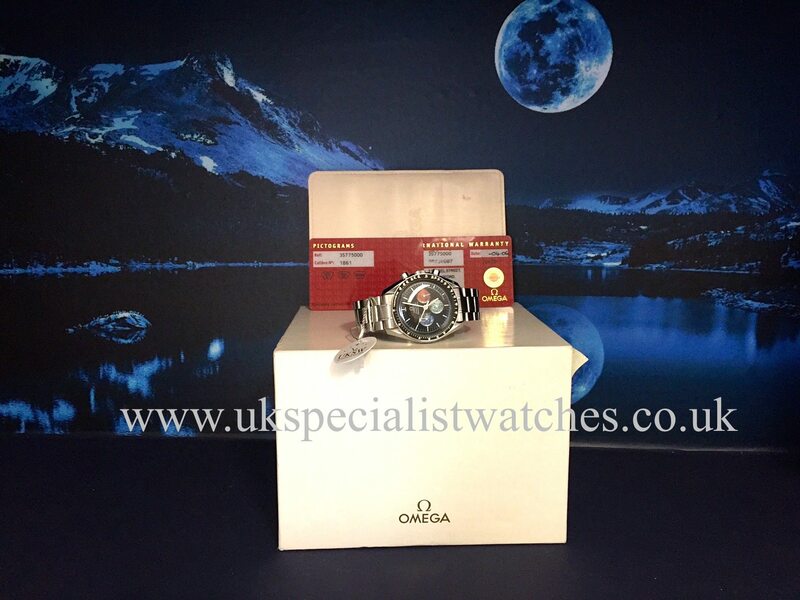 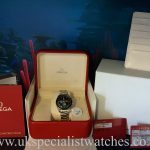 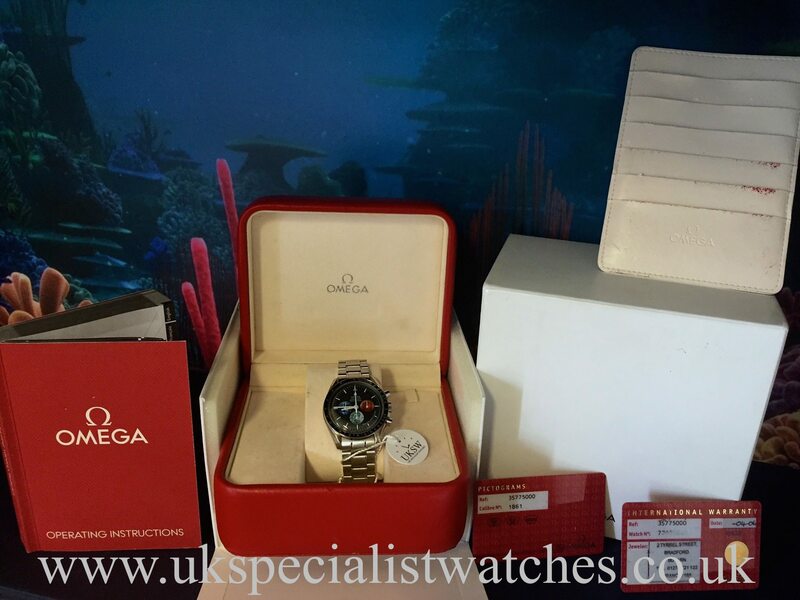 Comes complete with Omega boxes,warranty card, pictogram card and instruction manual.